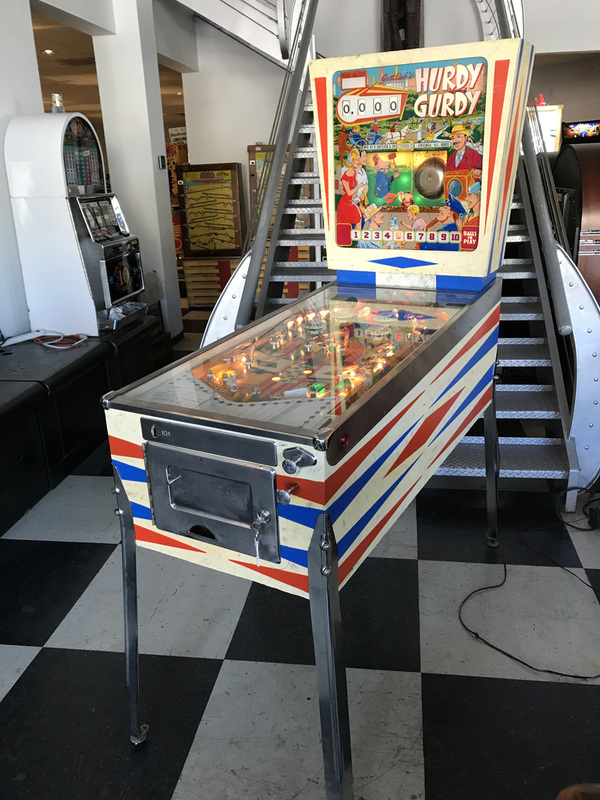 Hurdy Gurdy Pinball Machine | Fun! 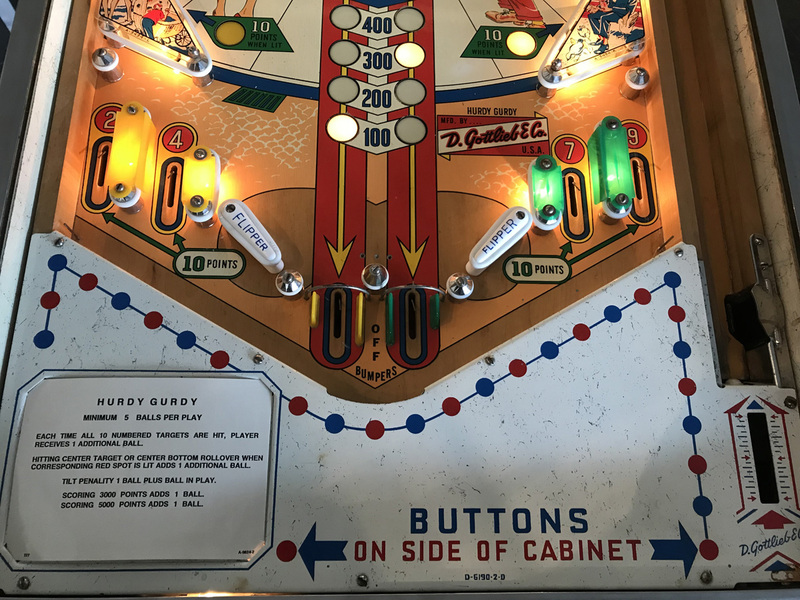 Note worthy history on Add-A-Ball Pinball Machines. This is the Add-A-Ball version to its replay counter part Central Park. 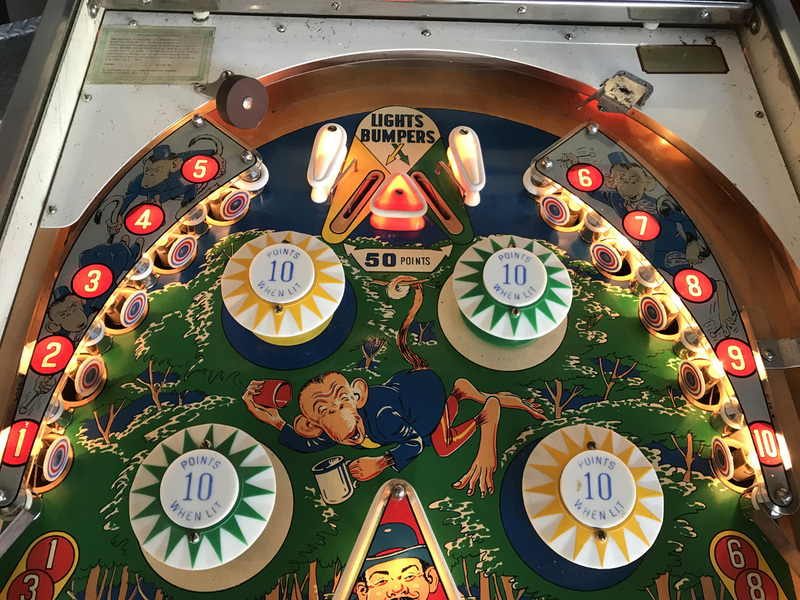 Law enforcement at the time believed that pinball machines could be viewed as a gambling device by awarding replays (free games). 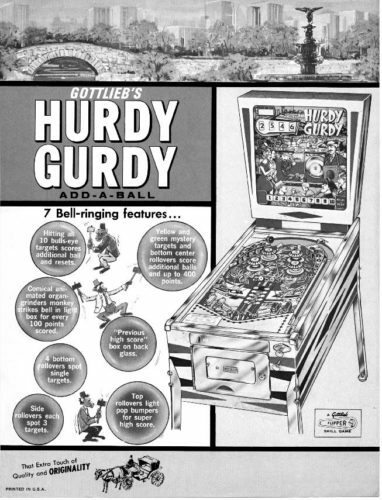 Thus pinball manufactures came out with Add-A-Ball versions of pinballs such as Hurdy Gurdy, to where the player is awarded additional balls to play…as opposed to free games. Completing all numbered targets (1 through 10) awards 1 extra ball. Scoring 3000 and 5000 points awards 1 extra ball. Going down center lane when red light is lit awards 1 extra ball. In addition to the great game play. 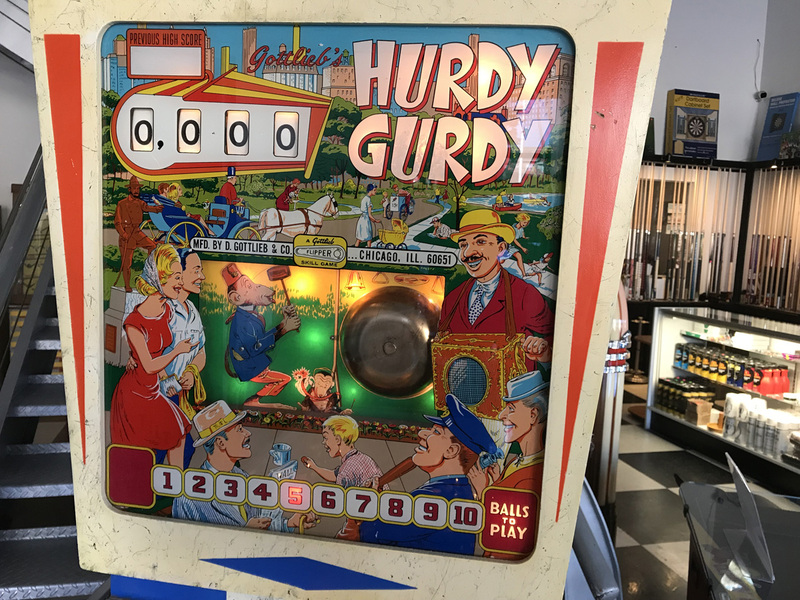 Hurdy Gurdy is most famous for it’s backbox animation. – Each time 100 points is scored, the Monkey strikes the bell. 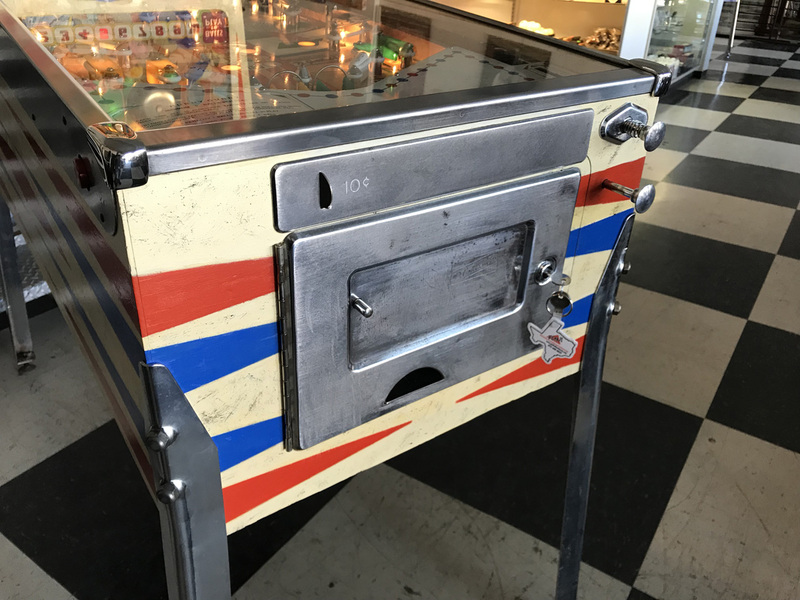 This 1966 classic pinball is in great condition all around. Exterior chrome has been polished. New lockbar end caps and flipper buttons installed. 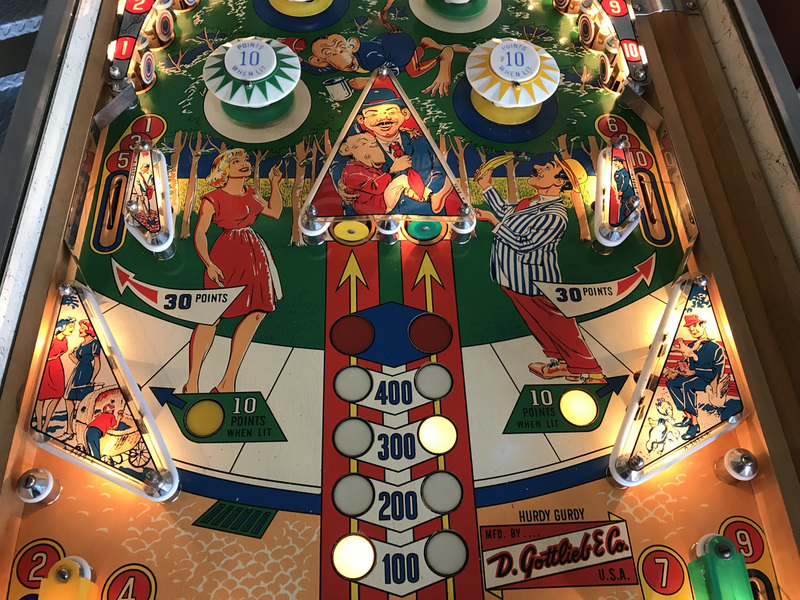 Playfield has been thoroughly cleaned and polished. 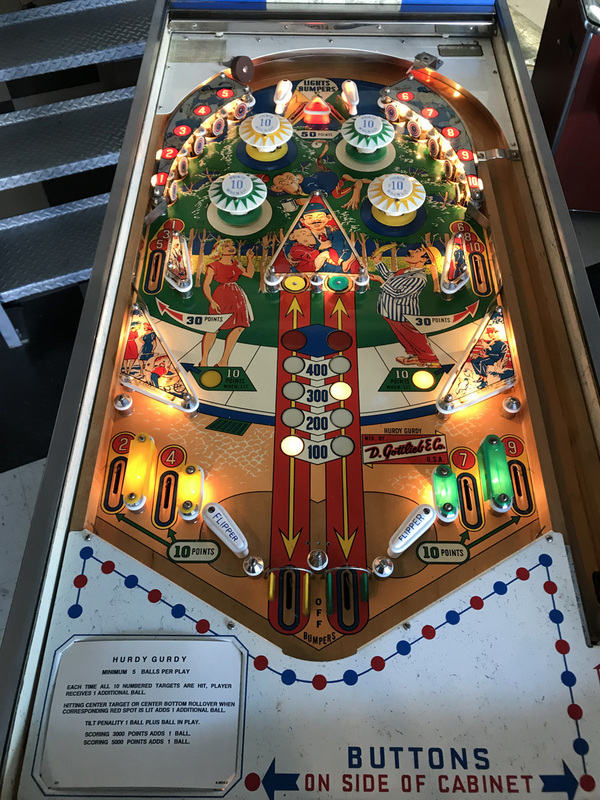 New rubber rings and #47 bulbs installed throughout as well as a new pinball. Our cosmetic detailing experts have done a great job cleaning and touching up the cabinet as needed. Backglass is original and is in near perfect condition. 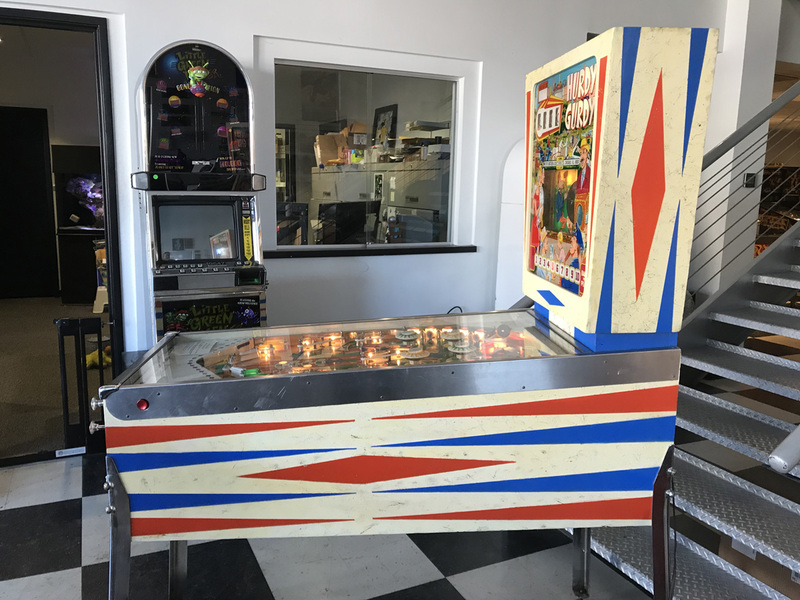 In addition to the cosmetic refurbishment we have done to this game our technician that specializes in electro-mechanical pinball machines has went through this game from top to bottom bulletproofing, cleaning and adjusting all aspects of this game in an effort to give you a fun and reliable pinball machine for years to come. 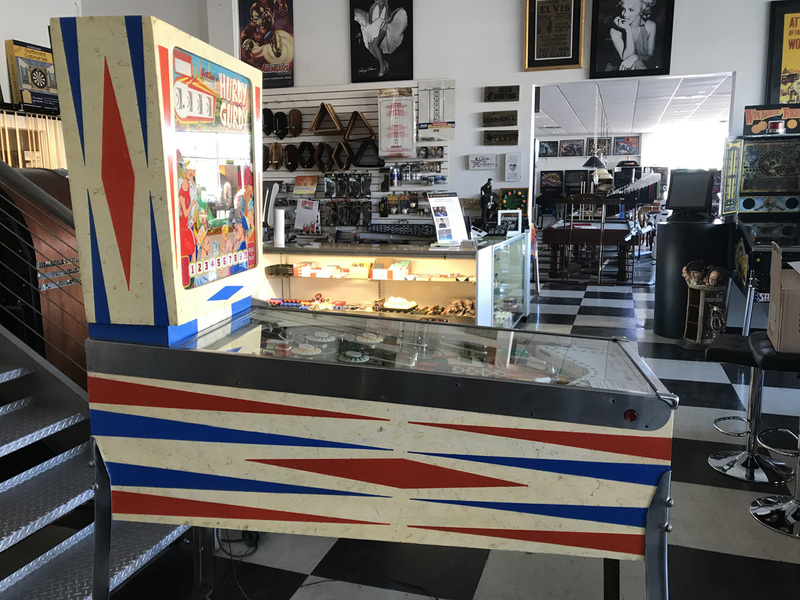 Rare opportunity to own this very collectible, great looking pinball machine from the 1960’s. The new owner will be very happy with this game! PLEASE NOTE: Hurdy Gurdy works great! And we encourage any prospective buyer to please visit our store and see and play this game in person. However often times, electro-mechanical machines need to be adjusted after transport due to their age and nature. With that being said no warranty is offered with this machine.